This was a great heartwarming story that leaves you with a warm cozy feeling. Judd is a great character and the kindness he shows to Savannah's young son just makes him perfect. Savannah was such a devoted Mother. So strong and caring. Together they were a great couple. Watching their walls come down and their hearts open was an emotional journey I'm so glad I went on. I definitely recommend this book. Heart warming romance between Judd and Savannah. Judd is a local pilot that has agreed to fly Savannah and her son, Wyatt to Chicago for surgery. Savannah is young single mom, who is very strong and will do anything for her son. Judd,has just moved to Marietta to help care for his young half sister, Maddie. Neither are looking for a relationship, until they are put together with two young children. Judd, is my everything. I have been waiting for this story since the last book and he did not disappoint me. He is so strong and family is everything to him. Loved his farm with animals. Such a big brother to Maddie. Savannah,is such a devoted mom to Wyatt and needed her HEA!! All I can say is this is a must read, including the whole series. Love the Harlow brothers, their mom would have been proud of the men that they have become. 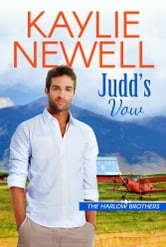 3.5 STARS JUDD"S VOW by Kaylie Newell. This was my first read by this author. It was a pleasant read that went quick. I enjoyed the characters - Savannah and Judd. It was a bit of a slow burn, although it did happen first. Each had their own hangups. I would have liked a bit more emotion/drama involved with Wyatt's surgery. Ms. Newell wrote the story with many jump scenes - I truly wanted to see the in betweens and what happened though as sometimes I felt like I was left hanging. Overall, it was enjoyable and I will certainly try another tale by Kaylie Newell. (received ARC for honest review). 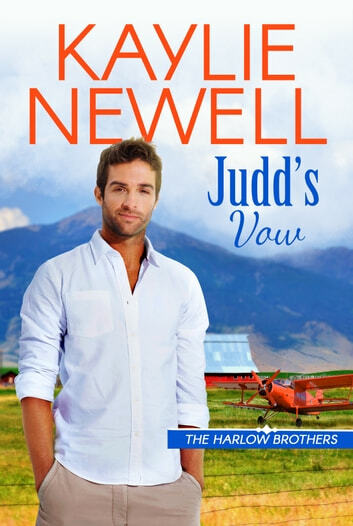 The third Harlow Brothers book is an emotionally gripping and inspiring romance. Judd and Savannah are both strong, compelling characters that easily capture readers’ attention with their sizzling chemistry but vulnerable and emotionally stunted lives. Due to their pasts both have sort of accepted that the whole happily ever after thing is not for them but they are pulled together not only by their attraction to each other but 2 adorable kids and readers can’t help but get caught up in all the emotional turmoil plaguing this couple but the suspense of whether or not they can let go of the past and grab on to their future with both hands. The suspense of this couple’s romance builds throughout the book as Savannah past comes calling and throughout the present circumstances surrounding each of the characters’ lives. The children add a soft and adorable touch the story and while the Harlow Brothers stories have been told, hopefully the sister gets her story told too. The author balanced the characters emotional vulnerabilities with strength of characters that readers can’t help but admire and following along as Judd and Savannah’s hearts are opened up is quite heartwarming and inspiring ensuring that readers have to read every last word.